What Does “Commuting” Actually Mean? The first words that pop in my mind when hearing the word “commuting” are: independence, public, tiring, and home sweet home. For the commuting students, things can get a little more exhausting compared to the life of a student who dorms. Distance: Depending on where you live, you may have get up early and organize your time wisely so that you get on campus on time for your classes. For me, it takes an average of about 45 minutes on the train (with rush hour times, up to 1 hour). Belongings: Commuters must bring everything they need for the day- books, laptops, binders, notebooks, lunch, etc. Students with pre-health/science courses know what I mean. Lockers are available for semester renting, but sometimes you do not have enough time to get to the lockers, so you result to carrying everything with you wherever you go. It all depends on how you arrange your schedule. School Finances: Price for commuting= $0.00. Although it is quite self-explanatory, you are doing your parents a huge favor, financially. Dorming can be expensive, depending on which building you choose to dorm in and who to dorm with. Personally, although dorming may be seen as the “college life”, going home to your own bedroom and family is way better. Food: People that do not dorm are not obligated to get a meal plan for the dining halls. Most of the commuters (that I know of) bring lunch from home. It may not be as exquisite and delicious as the food they have in the dining halls, but it can fill your stomachs enough to get by through the day until you go home. Prioritizing Time: Commuters have a home to return to, family obligations to do, etc. Sometimes attending events or hanging out with friends around the evening and nighttime hours can be difficult. During the daytime, when I have free time, I make sure I take advantage of the things I can do here that I can’t do at home such as go to tutoring and visit a professor during office hours. CTA: Many things happen on the CTA because a ton of people use the train to go to work downtown- no explanation needed here. My advice would be to download the CTA app so you can track down when the buses and trains arrive. Freshman year, I found myself sprinting to the train stations to catch the train in order to avoid waiting another 10 minutes for another one to come. Being a commuter is a lot to handle. 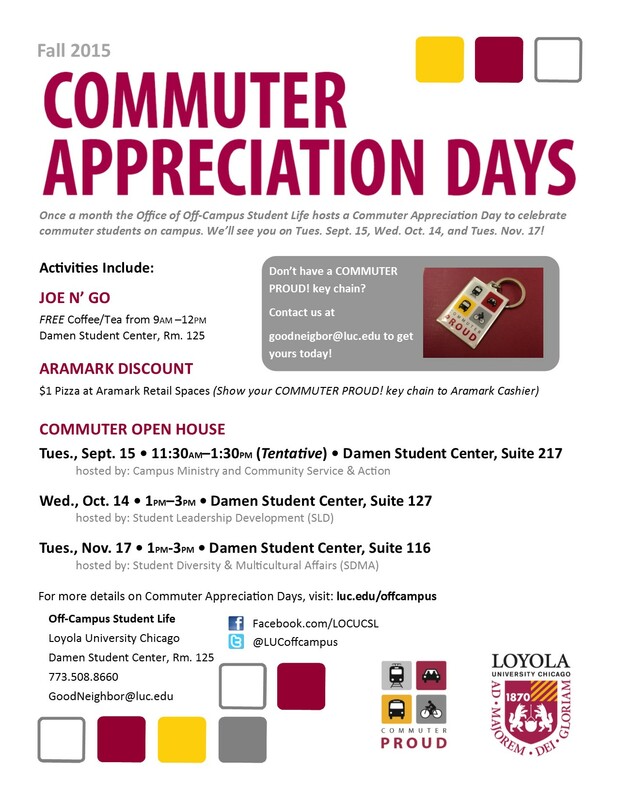 But here at Loyola, we have a fantastic Off-Campus Commuter Life office, run by the amazing Tina Garcia. 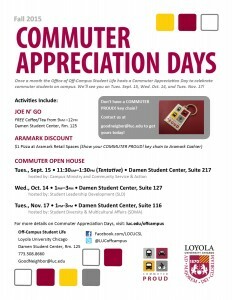 Every Tuesday, commuters get free tea/coffee, and once a month, we have commuter appreciation days. Every so often, they have events such as cupcake and cookie decorating. There’s a lot more to commuting. But this is my general concept of what commuting really means, from a true commuter perspective. Hopefully this gives you a better idea of the life of a commuter. The first semester has almost come to a close and with that, I have learned how to adjust to commuting well (Note: this is the first time I am using public transportation to get to school). 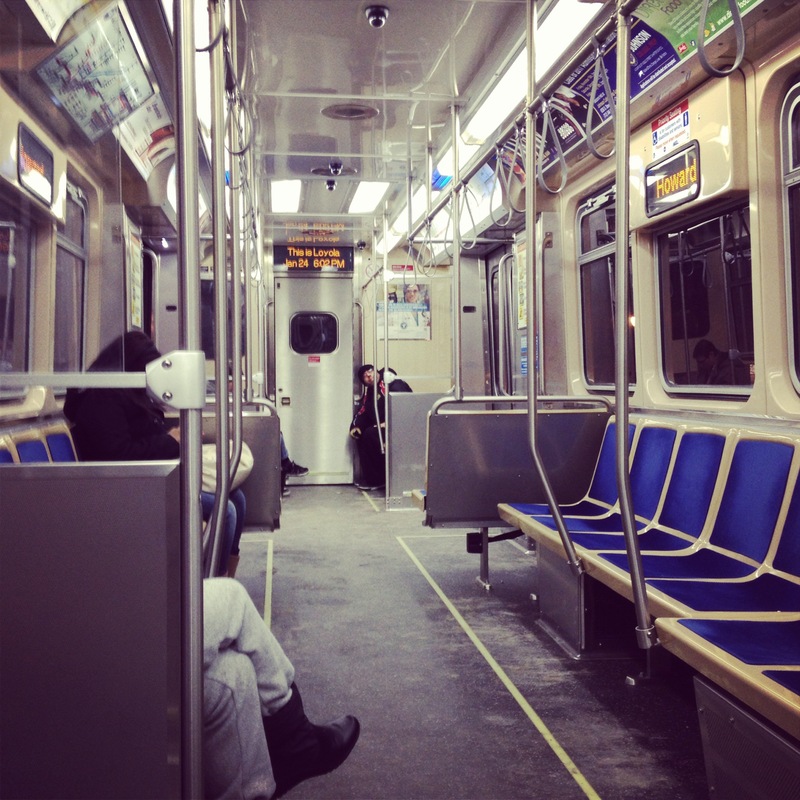 There have been some interesting moments I have encountered along the way via the CTA. You meet people of ALL kinds-those that are loud, funny, rude, kind, and strange and sometimes there are occurrences that happen. Everyday, going to and from school, is a mystery; you do not know what exactly to expect not can you be prepared for it. For me, I actually enjoy the uncertainty because it makes life more interesting/on-the-edge, as my current life is a bit “bland” in my opinion. Yes, sometimes things may be dangerous and there definitely are people to take caution in, especially anywhere public, but I know how to defend myself as I am a black belt in martial arts and have enough common sense to make the right actions and decisions. As winter quickly approaches, I am quite pleased to not have to deal with the snow and blizzards while commuting as it is uncomfortable and difficult to get from place to place. Commuting is casual; weather is not an issue at the moment yet. (When there is snow, I surely will blog about that!). Besides weather, I have learned that timing is everything. The train WILL NOT wait for you, therefore you must catch up with it. Sometimes in the morning, when I see the train lights and the crossing bar go down on the street, I often sprint (getting my morning jog) to the train stop and well as running up and down the stairs of Belmont to transfer to the red line. In a way, commuter life is not that difficult to deal with. Sometimes it can be fun and enjoyable! 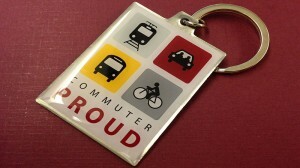 This has been my first year commuting and so far, I have to say that I have a lot of respect for all of those commuters out there! Not only is it work, but it is a commitment. We all want to get to school on time, but driving to the city, let alone taking a taxi, would take too much time because of TRAFFIC. Therefore, I want to share my two fastest ways to get to Loyola from Union Station (sorry to my Ogilvie station people). There are roughly 2.7 million people in Chicago, you’re running late and you want to get to school on time for a quiz. Which way do you take? 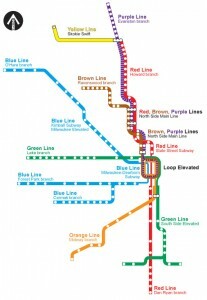 Do you take the blue line to the red line, just the red line, or the brown line to the red line? I used to get on Clinton and transfer on Jackson’s red line stop and take it to Loyola, but after a while I got tired of walking underground. 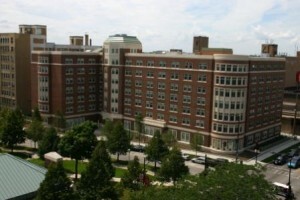 My new favorite way to get to Loyola is to walk down Adams and get on the Quincy stop on the brown line. Then, I transfer to the red line on Fullerton, or if I forget, on Belmont. 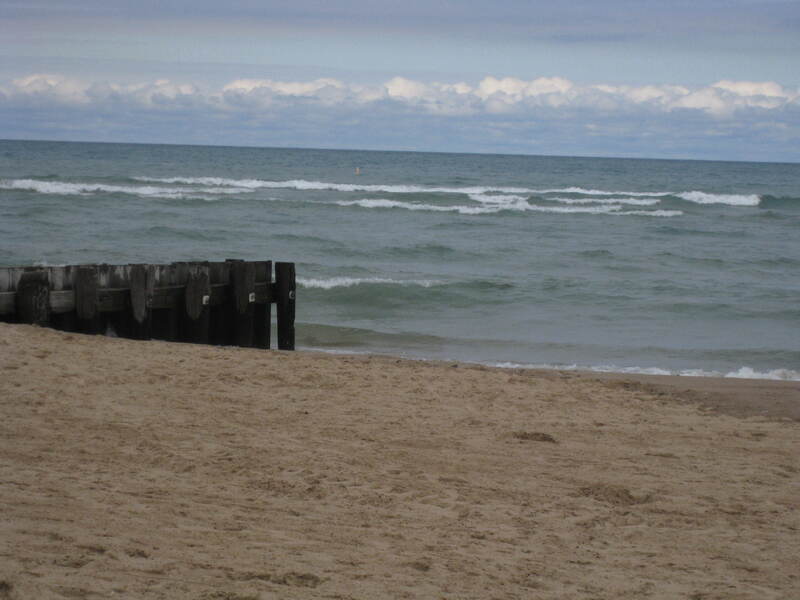 The scenery is better than having staring contests with strangers. Plus, the time it takes to get there is about the same. However, the only downside is that the brown line seems to stop more often than the blue line. Either way, I’ll take the city view over the underground route any day. What is your favorite route? 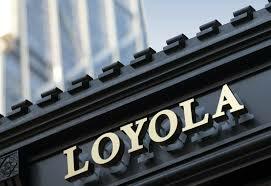 Please do share, I love to explore and find new ways to get to Loyola! We’re back in session for the 2013/2014 school year! Who’s excited? Even if you’re not, I hope you aren’t too upset that summer is over. Summer was nice, but my favorite season is Fall so I’m happy that school has started up again. There will be plenty of time ahead to blog about this semester, so I’m going to tell you all a little about what I was up to this summer. Most of my summer was spent working at XSport Fitness as front desk staff. 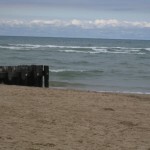 When I wasn’t working, I spent time exploring the outskirts of Chicago with my boyfriend. 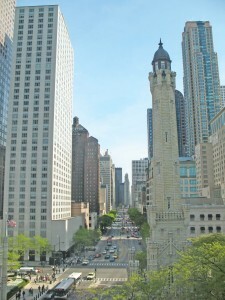 Before May, I mainly knew Chicago as downtown and what I passed when I was on the different CTA lines. I rarely saw Chicago west of the Kennedy Expressway. This summer though, I finally got past my unintentional boundaries. 2. Harlem Irving Plaza– to people that frequent the “HIP”, this may seem lame, but other than Watertower Place and 900 North, this is the only mall I’ve seen in Chicago. I love going to malls because they are all so unique on the inside, and the HIP is no exception. I didn’t see much of it, but I liked that to get into the mall, you go through an entrance where you take an escalator down from the outdoor parking lot. 3. I learned to fish in August and took several trips for fishing. 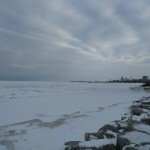 I went to Fox River, Lake Michigan and Utica, IL. It’s a very quiet and peaceful activity that took me outdoors for some fresh air, even if all I could catch were logs. One of these days I’m hoping to catch a real fish instead of just feeding them my bait. Maybe tomorrow! 4. Country music- I’ve listened to country tunes for years and have some of my favorites bands and musicians, but listening to county music on the radio day after day really made me listen to it and appreciate it more. My iTunes has greatly expanded due to the extensive list of country songs I added to it this summer, like one of my new favorite songs, “I Want Crazy” by Hunter Hayes. 5. I went to quite a few restaurants and small food places this summer that opened up my taste buds. My healthy eating unfortunately came to a halt at the beginning of summer because there became too many temptations for me to pass up. Several places that were new to me were Longhorn Steakhouse, Roma’s, Twin Gyros and Outback Steakhouse. I tried lots of delicious food, some that I’ve had before at other places, and some that were completely new. One of my new favorite treats, courtesy of Roma’s, is Watermelon Italian Ice- delicious! 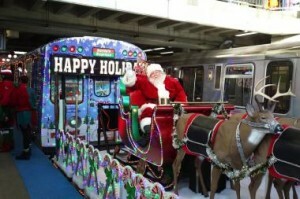 New train cars have been added to the CTA. While this may just seem minute to most people I was quite thrilled to see the change. Coming from Southern California I came to Chicago with very little previous knowledge of how public transportation works. I was much more acquainted with the traffic jammed free ways of LA and Orange County. To put it simply LA’s public transportation is horrible. 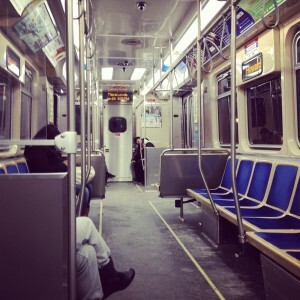 But I’ve found Chicago’s public transportation system easy to navigate and generally, awesome. 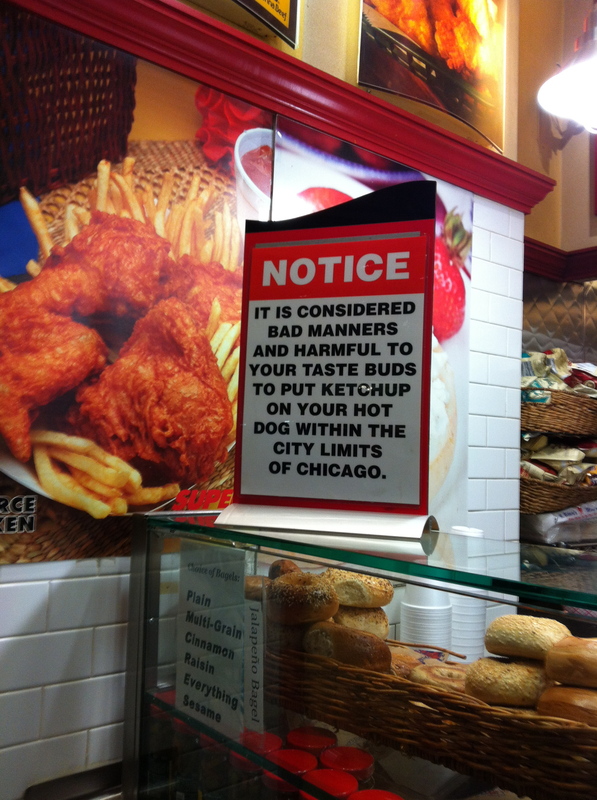 It’s so nice to know I’ve got Chicago at my finger tips. Throughout the travel season, I’ve noticed that quite a few students are applying to a wide array of schools. Applying to many schools can be a good way to keep your options open, but it can also be quite time consuming. I would recommend narrowing the list to save your self some time (and money if there are application fees, which Loyola does NOT have). One of the easiest ways to shorten the list, spend some time considering the city your school is located in and whether or not it’s a good fit for you. Distance- Is it the right distance from home? Are you looking to stay close by or do you want to move further away to get a new experience? What forms of transportation can you take to get back & forth? Will you be able to afford to commute home easily for holidays? Rural Life Vs. City Life- Are you looking to study in a small, rural town or do you want to experience fast-pace, city life? Are you looking for a quiet environment or are you okay with a little city noise? There’s no right or wrong answer to the questions listed above, they’re all things you need to consider and answer honestly for yourself when deciding if a college or city is a good fit for you. As I’ve mentioned before, fall means travel season for Admission Counselors! So far I’ve spent a total of 9 days on the road and I’ve driven a total of 1,794 miles throughout Indiana! That’s an average of 199 miles per day, woah. While I love fall travel and the opportunity to meet with so many awesome perspective students, being on the road does make me miss Chicago. After living in the city for 5 years now, I definitely prefer taking one of the many CTA buses or trains instead of driving. It’s nice to be able to sit back and read my kindle or the RedEye, listen to music and watch the stops go by as I near my destination. By relying on the CTA, I never have to worry about navigating road construction, gas prices, car insurance, or finding parking in the city. The CTA is a great option for Loyola students, as all full time students receive a U-Pass, which gives them unlimited use of all CTA transit during the semester. 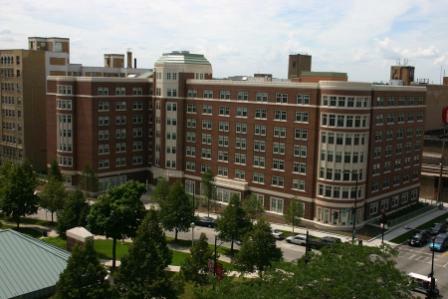 The red line, probably the most popular train route for LUC students, runs between Lake Shore Campus and Water Tower Campus (the Loyola stop & the Chicago stop). 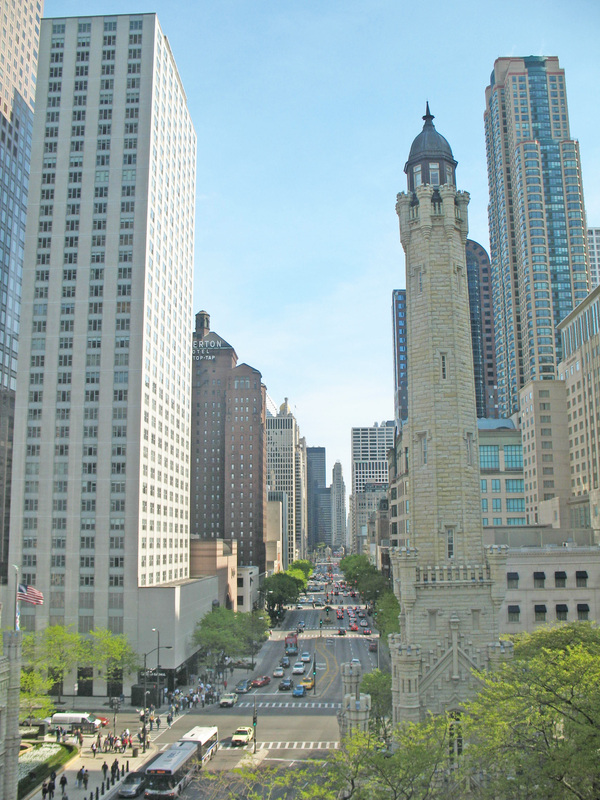 The #147 (Outer Drive Express) bus route also runs between the two campuses on Lake Shore Drive and Michigan Avenue, also known as the “Magnificent Mile“.. The U-Pass is more than just an option for getting between classes, it’s a passport to the city! 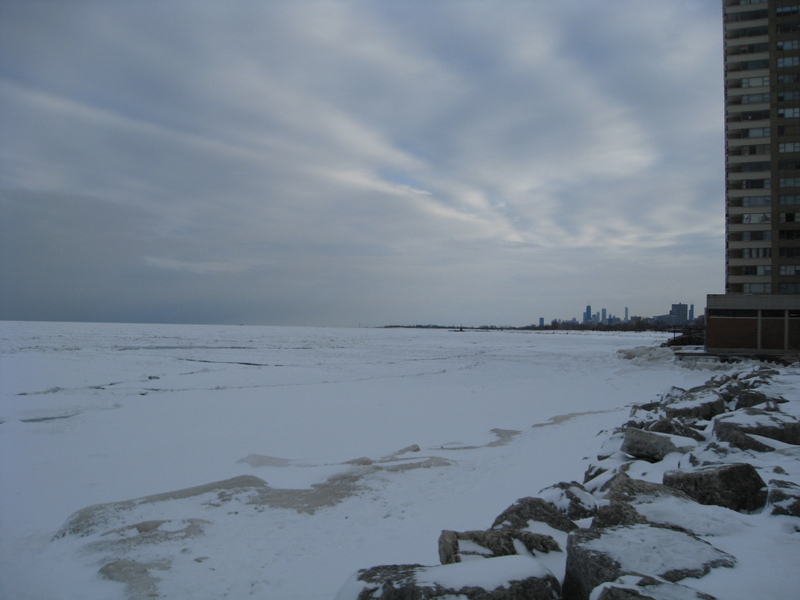 It will get you to Soldier Field to watch the Chicago Bears, U.S. Cellular Field to hopefully see the White Sox make it to the postseason, Millennium Park, Museum Campus, Chinatown, the House of Blues for a concert, or maybe just a random stop where you can do some exploring! It was definitely one of my favorite possessions as a Loyola student, and I think most students would agree with me. If you’re up for a road trip yourself, I’d recommend planning a trip up to Loyola University Chicago on October 20th or November 17th for an Open House. 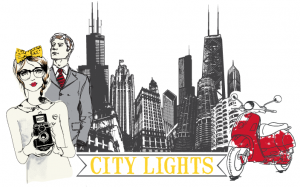 They’re a great way to determine if Loyola is the right fit for you, and you can always hop on the CTA and do some exploring in the wonderful windy city! 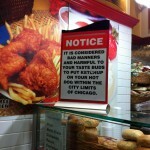 Sometimes being in Chicago has great benefits. One that I just recently realized (it has always been true, I just did not quite see the value of it until recently) was that because it is such a popular travel destination, you are more likely to be visited by friends and family. That was certainly the case this week, when I got an out-of-the-blue call from my favorite cousin. His flight from O’Hare to his home in New York was cancelled until the next morning, and he knew I lived in town and that he would give me a call. I was so happy to hear from him! I helped him find his way to my place (alas, I had no car available, but I helped him with the very simply journey of taking the Blue line to the Red line and then met him at the Loyola platform) and then made him dinner. There is something magical about being able to invite a family member in need over to your house at a moment’s notice and give them all the comforts of home. I got a chance to use the new All-Clad 11″ stainless steel pan that I got for Christmas and made some egg noodles with broccoli, mushrooms, baked chicken, onions and garlic. It was a really fun night of laughing, eating, and hospitality that wouldn’t have been possible if I went to school somewhere remote. But it was so easy for him to hop on the CTA and come over. In the morning one of my friends with a car drove us to the airport and I saw him off.